The long-awaited results of the biggest clinical trial that has ever been carried out have just been published in the medical journal Lancet. One million young children from 10,000 Indian villages took part and the idea was to trial two health interventions, deworming and Vitamin A supplementation, which are often thought of as magic bullets. Sir Richard Peto, Professor of Medical Statistics & Epidemiology at the University of Oxford, speaks exclusively to Health Check about the results. A long-running legal battle between the US government and tobacco companies may be close to an end. A federal judge has ordered tobacco firms to pay for a public advertising campaign about the effects of smoking and admitting they lied about the dangers of cigarettes. Ben Wright reports from Washington. The Access to Nutrition Index has just been launched and it rates the leading 25 global food and drink manufacturers on their policies, marketing and products relating both to obesity and under nutrition. Between them these affect two billion people. They have also created mini-indices for Mexico, India and South Africa in the hope of seeing changes at a local level. Inge Kauer is the Executive Director of the Access to Nutrition Index. 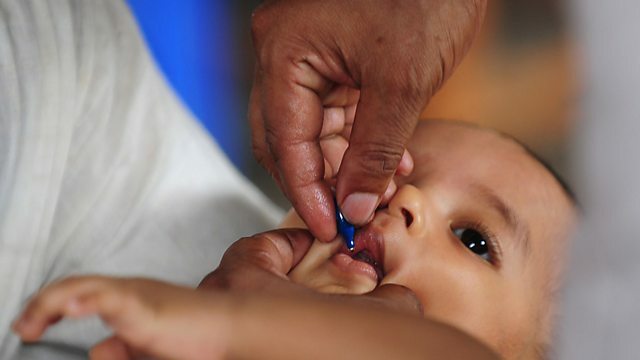 Picture: Vitamin A capsule being administered to a child.